Landmark Wealth Management, LLC » Should you worry about market volatility? Should you worry about market volatility? How often have we heard that markets are volatile, and you simply need to stay invested rather than panic? To the average investor, the answer is likely countless times. So how reliable are such cliché like statements about investing? The answer is; extremely reliable, so long as you don’t attempt to out think financial markets. Novice investors sometimes equate the stock market with some form of a casino in which only the “house” can win. Nothing could be further from the truth. As it pertains to the stock market, there is no independent “house” as is the case with a stay at a casino in Las Vegas. Ownership in a stock is no different than ownership in any business, large or small. If you as an investor were to invest your own dollars into a bakery, you may be highly successful, or perhaps not. Hopefully, before you made the decision to invest in this bakery, you evaluated the local marketplace, the cost to run the store, the insurance coverage required, etc. If you failed to address these necessary concerns adequately, the business venture may not be as successful as you had initially hoped. The novice observer would likely simply equate the failure and corresponding financial loss to either poor planning, or some unlucky set of circumstances. However, the “house” is never to blame for some reason. Investing in the stock market is simply investing in a business as a silent partner. You the investor will take a minority stake in a company, and in return you share in the success or failure. Aside from the tax treatment a small business owner realizes, the only fundamental difference between the publicly traded stock and the bakery investment is you exercise no operational control. Like investing in the bakery, it is prudent to complete your own due diligence before placing your hard earned dollars into any investment. Investing in the stock market offers far greater opportunity in the way of risk diversification via various solutions. An investor can utilize mutual funds for professional investment management, or simply gain broad access to financial markets via index funds/ETF’s which invest directly into a broad market index at once. It should be noted that investing in actively managed equity mutual funds have most often consistently underperformed direct investments into their corresponding index fund counterparts. So how risky is the stock market? Looking at the S&P 500 index (The 500 largest public US companies), we actually see that market volatility is quite the norm. A recent JP Morgan analysis showed that from 1980-2016 the S&P 500 posted positive price returns in 28 out of 37 years. That is roughly 3 out of every 4 years. When dividend yields from the underlying companies are included, three of the nine negative years turn positive. Across that time frame, there was an average intra-year decline of -14.2% from the peak of the market to its worst point each year. As an example, the S&P 500 Index closed up approximately 26% in 1980, yet at its worst point in the year had fallen by about -17%. Seeing these types of swings in pricing is quite normal and expected. What is NOT predictable is specifically when such swings will take place, in what direction, and how long they will last. Financial markets are highly unpredictable in the short term. There are thousands of variables that impact the value of a specific company at any given point in time. Some of them are specific to that company, and others can be related to larger indirect economic or geopolitical concerns. Attempting to predict short term prices movements in a specific company, or the stock market as a whole is most often an exercise in futility. In the end, what makes a company, or group of companies more valuable over the long run is profit growth. No different than the bakery, if the business generates more profits over time, it is more valuable. Considering the resources available to diversify a stock market portfolio, and the fact that the vast majority of small business ventures fail within a few years, there is a strong case to be made that the stock market as a whole poses much less risk than investing in the bakery. 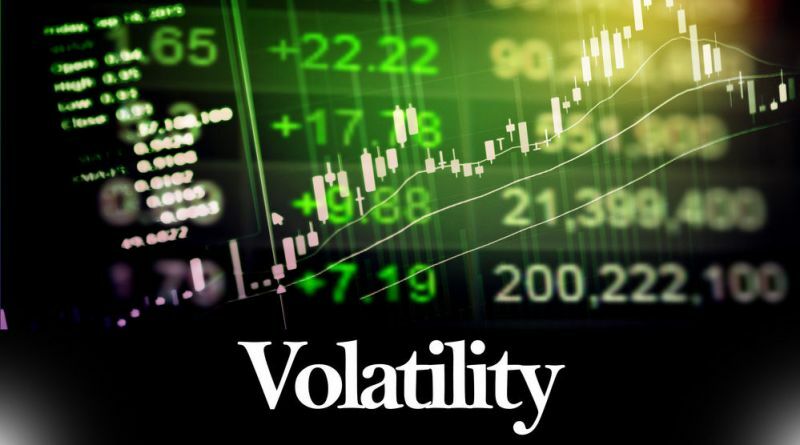 Looking across various market indices, you will see varying degrees of volatility. Small Cap stocks are generally more volatile than Large Cap stocks. Investing into a Small Cap fund will offer greater potential returns, with likely greater volatility. Investing in fixed income investments/funds will typically offer you lower potential returns, with lower exposure to short term volatility. A recent paper put out by the NYU Stern School of Business demonstrated that from 1928-2016 the 10 year US Treasury Bond posted average annual returns of 5.18%, with only 15 years in which returns were negative. During the same time frame between 1928-2016, the S&P 500 index posted and average return of 11.42% when including annual dividends. During that time there were a total of 24 negative years. While this is just a simple snapshot of two of the most widely quoted benchmarks, there are various measures of financial markets. What’s important to note is that over time, all asset classes continue to appreciate. Ultimately, there is NOT a finite amount of wealth that exists. New products and services come to the market place all the time. In addition, new dollars are created and enter the global economy all the time. Given enough time, everything will cost more money due to inflation. That means given these consistent variables, a gallon of milk, the price of a car, and value of the S&P 500 Stock Index will all likely continue to increase in price. If the proper balance of money creation and new productivity is not maintained over time by policy makers, the risk of inflation can be even more impactful. This means that by not maintaining a constant allocation in some form of investing, you are subject to what amounts to a guaranteed loss through the erosion of your purchasing power. What we find fairly consistently in the financial planning field is that investors behave emotionally far too often. What drives down returns across portfolios over the long run is the lack of a consistent strategy and discipline. Dalbar, an independent financial services research organization has been providing for many years an annual report on individual investor results versus the market as a whole, known as the Quantitative Analysis of Investor Behavior. In their 2015 report which looked back 20 years, they found the average equity mutual fund investor had a 20 year return of 4.67% vs 8.19% for the S&P 500 Index. The average fixed income mutual fund investor produced annualized returns of 0.51%, while the Barclays Aggregate Bond Index posted an average return of 5.34%. Most of this lag in performance is driven by emotional responses to market conditions in which investors attempt to time financial markets. This often leads to selling into market declines, and buying into market strength. As an investor, market volatility is only relevant to the specific goal an investor has with a specific pool of dollars. If an investor has a goal of using a specific amount of money for a pending new home purchase that is only a few months away, neither the stock market, or the bakery venture is an appropriate us of those funds. Investing requires time to serve as your ally. In general, any goal of less than 3-5 years is not appropriate for even a conservative portfolio of investments. As it pertains to retirement savings for anyone who is a good distance from retirement, or even throughout their retirement, an investment strategy that does not maintain some exposure to equity investing is unwise. What all of this data tells us is that markets are highly unpredictable over the short term and very predictable over the longer term. A well-constructed investment plan will gain exposure to various different asset classes to help to minimize the inherent short term volatility. However, no investment plan can be expected to work without the commitment to stay invested across different market conditions. In order to accept that, investors must first accept that market volatility is quite normal. It should be regarded as an opportunity rather than a cause for concern.